Looking For Paintball Jobs You’ll Love? Interested in a job at Air Assault Indoor Paintball? Fill out an application online fast and easy down at the bottom of any page in the footer segment. Select the position you are applying for and complete the form. If you’re not too sure what we do, stop in anytime during open hours and check out the jobs at our paintball park! Air Assault Paintball in St. Paul offers paintball jobs at the best indoor paintball center in the Minnesota to trustworthy, motivated and dependable people. If you are looking for a occupation and are not afraid to work hard and get a little dirty please check out our paintball arena to learn more. Staff members will be expected to conduct safety briefings, game play, staging area regulations and more. We are currently accepting applications for both entry level paintball referees and management positions. 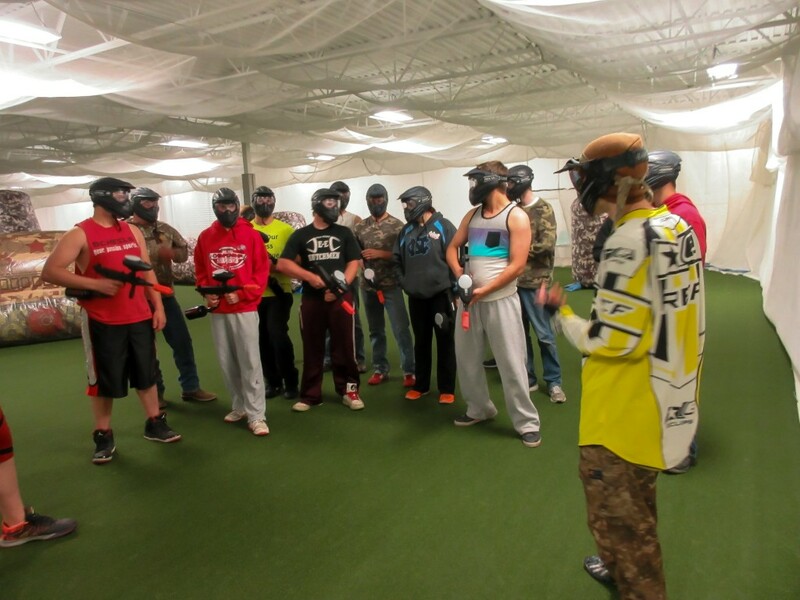 Become a part of one of the best paintball centers in the Midwest today! The referee position may range from part time to full time with hours ranging from 5 to 40 hours a week. Scheduled hours may depend available on work load, scheduled events, pending reservations and personal performance. Referees have one of the most influential jobs at the paintball park because they will be interacting face to face with customers for the duration of the day. Referees priorities include providing the best no pain paintball experience while maintaining a safe and fun atmosphere. You’ll be sure to see smiling faces, hear laughs and see why you’ll love a job at Minnesota’s finest paintball facility. We’re conveniently located right out of downtown St. Paul, MN. Air Assault indoor paintball is always looking for energetic, friendly and self motivated individuals. If you have questions about how to acquire a paintball position within our facility or have general questions please feel free to give us a call.